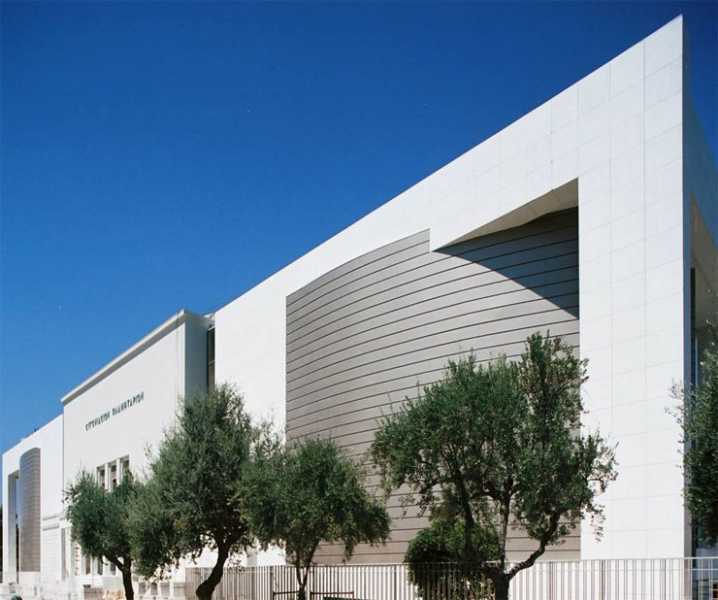 A sight for kids and adults, enjoy and learn in Athens Planetarium, one of the biggests and best equipped digital planetariums in the world. It has 280 seats which are equipped with an interactive unit which controls the display to ensure the greatest degree of comfort. 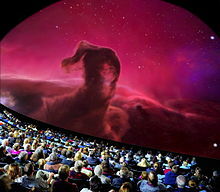 The central dome is 25 metres in diameter with a surface area of 935 metres and screen provides a 3-D 360 degree view. The Living Planet – Duration 40 minutes. It shows the deeper causes behind the ceaseless displacement of the tectonic plates which reshapes constantly the surface of our planet, what is the natural mechanism behind the earthquakes and the volcanic eruptions, the mechanism that generates and affects our Earth’s climate and how is the observed climate changes related to the Greenhouse Effect. All these and more about our solar system and why Earth evolved so differently from Vernus and Mars. The show presents the fascinating world of trees and shows the importance of plants for life on earth, how trees grow, how they transport water against gravity to the top of the crown, and how they remove carbon dioxide from the atmosphere, producing at the same time oxygen. The story is presented by two quirky animated characters: a ladybug called Dolores and a firefly called Mike. With the help of stars and constellations, the show "Tales of the Sky 2" visualises in a spectacular way the stories contained in Ovid's "Metamorphoses" (Transformations), regarding the "Four Ages of Man". Because even in ancient times, the observers of the starry night grouped together the brighter stars into easily recognisable patterns in order to make the night sky seem more familiar. On the clearest of nights the old stories connecting humans to the stars become alive and each constellation has its own story to tell. 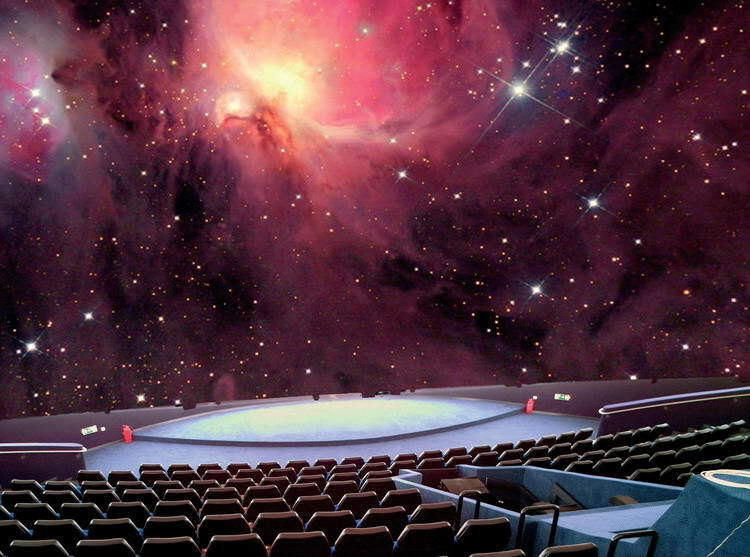 Eugenides Planetarium's latest digital show invites you on a voyage through space and time to uncover the ideas and the knowledge that the ancient civilizations had for the heavens. "Ancient skies" consists of four parts, the first of which focuses on what can be learned about the "Sky of ancient Egypt", by studying its monuments. The second part is dedicated to the Minoan civilization developed in Knossos, Crete, and the island of Thera, while in the third part we travel back to Hellenistic Alexandria in Egypt and its celebrated Library and Lighthouse. How did life on Earth begin and what caused the immense diversity of its living species? Starting with the formation of our Solar System and the Earth, the Eugenides Planetarium's latest digital show attempts to answer these questions, inviting viewers on a fascinating journey. 2500 years after the pre-Socratic philosophers first started to look for rational explanations of the natural phenomena, humanity’s scientific endeavor has led us to a fascinating conclusion: that every living organism, every planet and star, the Universe itself are all subject to the concept of Evolution. The latest production “Evolution” attempts to capture this all-encompassing concept by inviting its audience on a fascinating journey. The recent production “Windows to the Universe” highlights the different ways used by astronomers to unravel the secrets of the Cosmos. From Gallileo’s first observations to the giant ground-based telescopes of the future, and from the most powerful particle accelerators to our state-of-art space telescopes, humankind’s efforts to comprehend the inner workings of the Universe continue. Shows are presented from Monday to Friday from 9.30 until 14.30 and 10.30 until 16.30 on Saturday and Sunday. A normal ticket cost 6 euros.